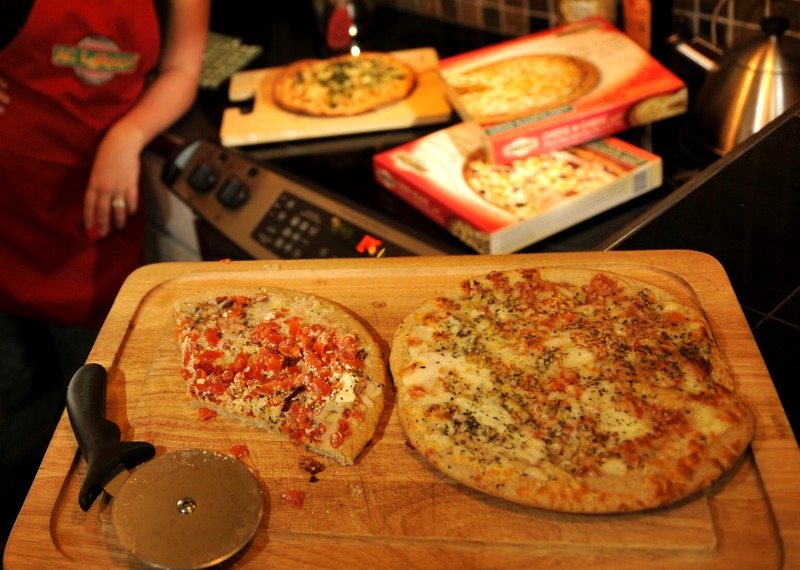 Foodie Friday Giveaway: Gourmet, Healthy Frozen Pizzas from A.C. LaRocco! Who here doesn’t love pizza?? Pizza is one of those amazing, wonderful foods that’s comforting, warm, easy to make and pretty much available anywhere you go in the world. Trust me on that last one – I think my husband and I have eaten pizza in every single country we’ve ever visited. I love pizza, but I especially love when you can “dress up” pizza with fun toppings like gorgonzola cheese, pears, & walnuts; or feta and roasted tomatoes. I don’t usually eat pizza that often, because unless I make it myself it’s hard to find a “healthy” pizza that still tastes great. Which is why, I was SO excited when A.C. LaRocco contacted me to try their gourmet, healthy frozen pizzas and partner with them on a giveaway! These pizzas are some of the best frozen pizzas I’ve ever tried. 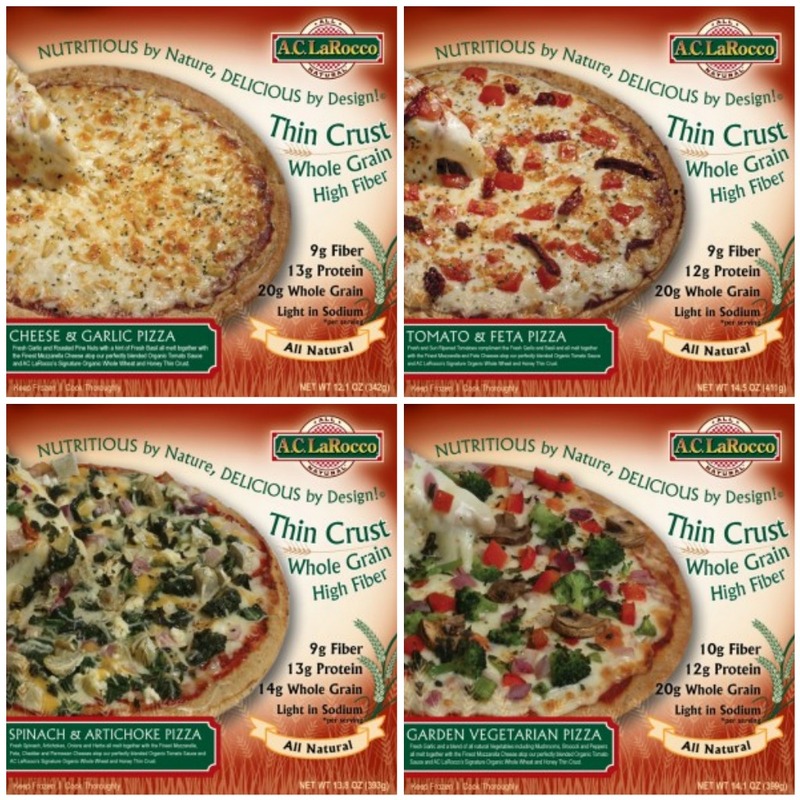 They come in eight delicious gourmet flavors like: Greek Sesame, Spinach & Artichoke, Tomato & Feta, Bruschetta Style on Sprouted Grain Dough, and Garlic Chicken Parmesan! So why are these pizzas healthy? To start, ALL of the pizzas are made with all-natural organic ingredients. All of the doughs are made with organic whole grain / whole wheat or sprouted grain which makes the pizzas super high in fiber. All of the cheeses used are low fat and REAL (not processed, no additives). Most of the pizzas have TONS of veggies on them, and all of the pizzas can be eaten guilt free! The whole wheat dough variety average about 200-250 calories, 9-10g fiber and ~13g protein for 1/3 of a pizza; and the sprouted grain dough are about 350-450 calories for one WHOLE pizza (with about 2g fiber and 20g protein per pizza). How awesome is that?? 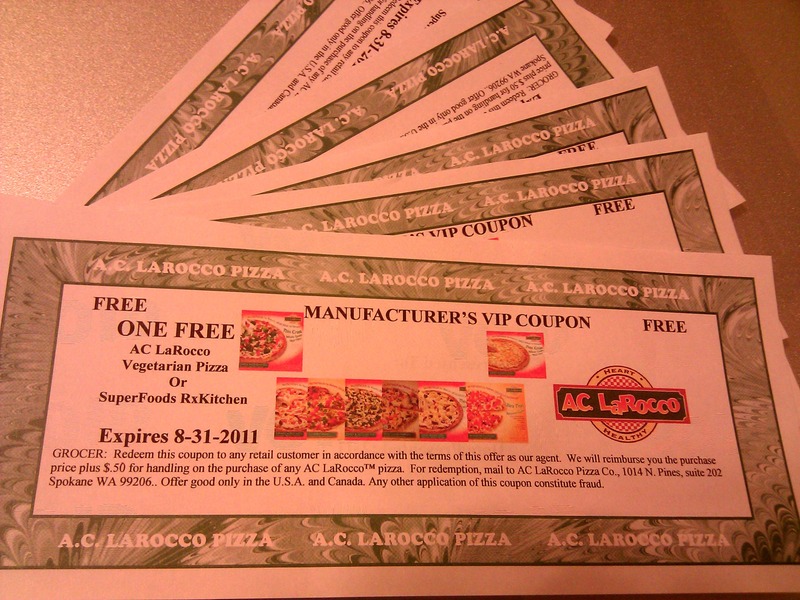 And the best part is, A.C. LaRocco has given me coupons for free pizzas to share with all of you! The “grand prize” winner will receive 3 coupons (each coupon will get you one free frozen pizza) – so you can try out three of the A.C. LaRocco Varieties! + 2 Entries if you invite 5 or more of your friends to like The Picky Eater on Facebook! This giveaway will be open for TWO weeks. It will close on Thursday, March 17th at 11:59pm PST. I will be selecting the winners at random (via random.org) and will contact them via email. I’ll be announcing the winners on Friday, March 18th when I launch my next giveaway! Be sure to enter today–you’ll LOVE these delicious, good-for-you, gourmet, organic pizzas! Foodie Friday Giveaway: Gourmet, Organic, Specialty Chocolate from Fearless Chocolates! This week, I have an AWESOME giveaway to share: some of the best organic, gourmet chocolate I’ve ever tasted from Fearless Chocolates! But first, of course, I have to announce the winners of last week’s giveaway. Last week’s giveaway had THREE winners! Congrats to…. Arushi – our grand prize winner! Congratulations to all of you! Just be sure to send me your mailing addresses, and you should be receiving your all-natural protein shakes in a few weeks. Thank you so much to everyone who entered!! And of course – you all have another chance to win in this week’s giveaway: FIVE gourmet, organic, specialty chocolate bars from Fearless Chocolate. Yes, one lucky winner will end up with a stack of chocolate just like this from Fearless (ok – maybe not a stack quite this high 🙂 ). Fearless Chocolate is really a unique company. Not only is their logo an elephant (how cute is that! ), but they are on a mission to produce organic, raw, high-quality dark chocolate with amazingly inventive and vivid flavors that will surprise and delight all chocolate lovers. The awesome folks at Fearless Chocolate sent me five of their chocolate bars to try (and one lucky winner will receive all five chocolate bars as well!) Each bar is flavored with exotic spices and superfoods, and are 100% Kosher, dairy-free, gluten-free, raw, soy-free and all use mineral rich, unrefined whole sugars. And of course, the chocolate is luscious and tastes great. 75% Dark as Midnight: A deep, rich, earthy chocolate that just melts in your mouth and only has 2 ingredients! 70% Matcha Green Tea & Peppermint: A wonderful combination that marries two great flavors – and you can really taste the green tea which is pretty cool. 70% Exploding Coconut: This one might be my favorite – although all of the flavors are amazing. This chocolate has actual raw, organic coconut flakes in it, covered with dark cacao. 70% Sweet & Hot Hibiscus Ginger: The biting spice of Ginger sparked with the fruity and floral notes of the Hibiscus flower. It will keep your tastebuds intrigued! 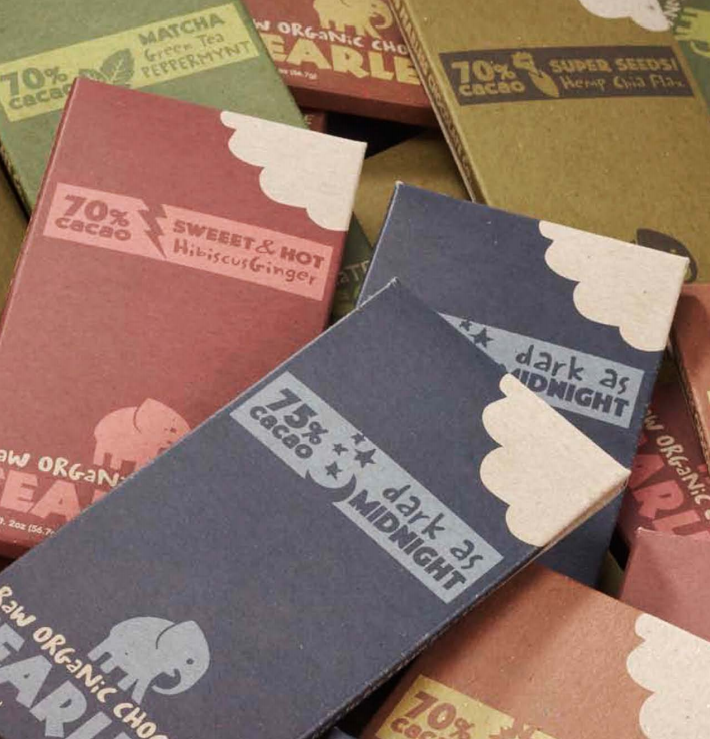 There are two other things about Fearless Chocolate that just makes them a stellar company: 1) All of their chocolate boxes/packaging is made from 100% recycled paper and will bio-degrade in 6 months. 2) Fearless donates a 1% “bite” of its annual profits to change-makers suggested by their customers. You can even suggest organizations yourself on their website here. So by entering this giveaway, you’ll be receiving a fantastic product AND supporting a good cause! This giveaway will be open for TWO weeks. It will close on Thursday, February 24th at 11:59pm PST. I will be selecting the winner at random (via random.org) and will contact them via email. I’ll be announcing the winner on Friday, February 25th when I launch my next giveaway! Be sure to enter today–you’ll LOVE these delicious, good-for-you, gourmet, organic chocolate bars! Can you believe it’s almost Christmas already?! I feel like 2010 has totally flown by – it’s crazy to me that it’s already December 17th! And of course, today is Friday 🙂 So get ready everyone – this is my last Foodie Friday Giveaway for 2010! Woohoo! And let me tell you – we’re definitely going out with a bang on this one. But of course, first – the winner of my last giveaway was… Sarah!! Congrats Sarah! Just send me your mailing address and your cookies should arrive soon! Thanks again to everyone who entered!! 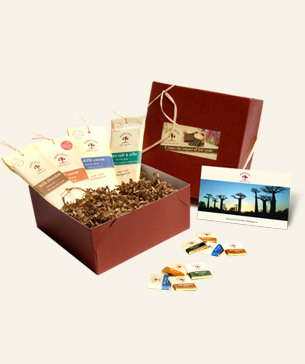 I hope everyone’s having fun with my weekly giveaways 🙂 Soo – here’s your final chance to enter and win for 2010 – with Madécasse Madagascar’s amazing gourmet chocolate sampler pack!! This gourmet chocolate gift box includes 4 bars of amazing chocolate (their most popular flavors!) Explore their rich 44% Dark Milk bar and their fruity 63% and 70% cocoa chocolate bars. 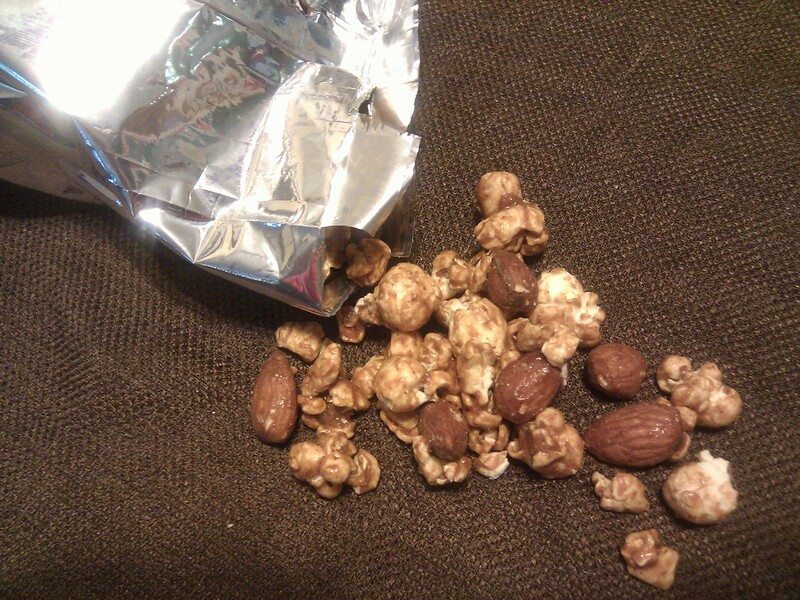 And – for a change of pace, tickle your tastebuds with a savory crunch: cocoa nibs rolled in natural sea salt! In addition to these 4 bars (63% cocoa, 70% cocoa, 44% milk, and sea salt & nibs chocolate), you’ll also receive 8 assorted mini squares of chocolate and a vintage style Madagascar post card!! I love how their packaging is so rustic and simple! The folks at Madécasse Madagascar were kind enough to send me their 44% milk, their sea salt & nibs bar, and mini squares of the 70% cocoa bar to taste – and I have to say – this is some of the most delicious and creamy chocolate that I’ve ever had! 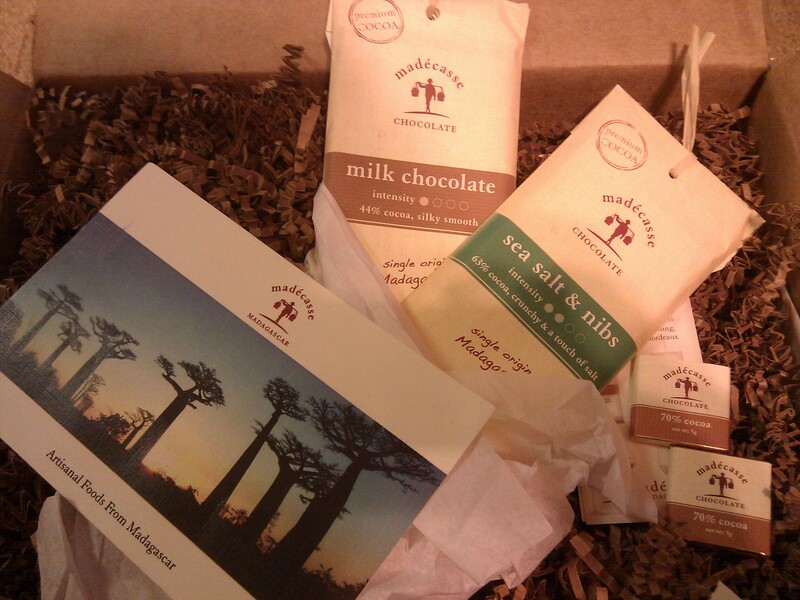 And the coolest thing about Madécasse Madagascar (other than the fact that their chocolate is amazing) – is that all of their chocolate is sourced and made IN Madagascar! Why Madagascar? Because many experts consider Madagascar cocoa the best in the world. 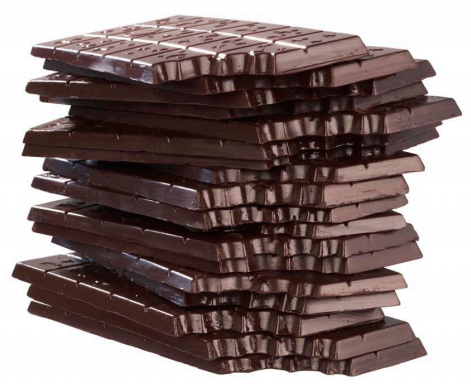 Sadly, even though 85% of the world’s cocoa comes from Africa, less than 1% of the chocolate is made there. 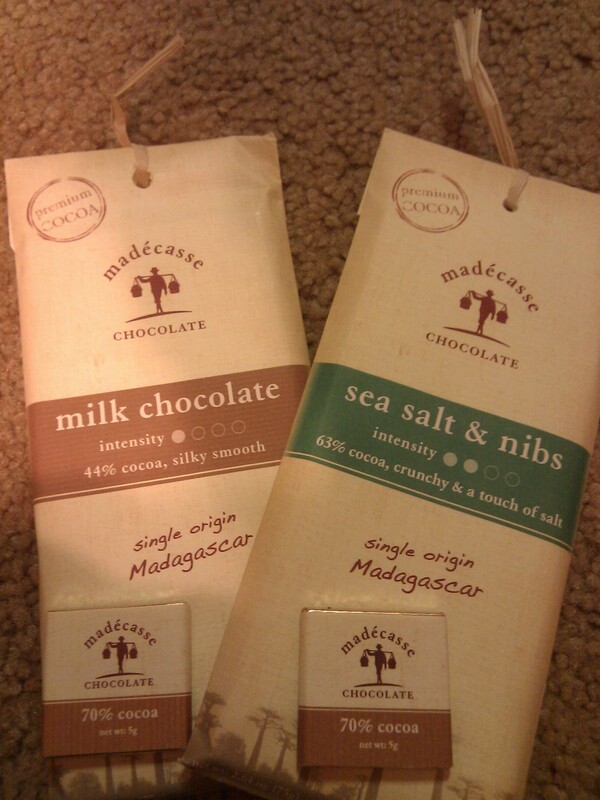 Well, Madécasse Madagascar is on a mission to change that – and all of their chocolate is sustainable and fair-trade! So – by eating this chocolate (and entering this giveaway) – you’re supporting a very worthy cause as well 🙂 Isn’t that the perfect holiday gift? So be sure to enter this giveaway today!! This giveaway will close on TUESDAY, December 21st at 7:00pm PST. I will be selecting the winner at random (via random.org) and will contact them via email. 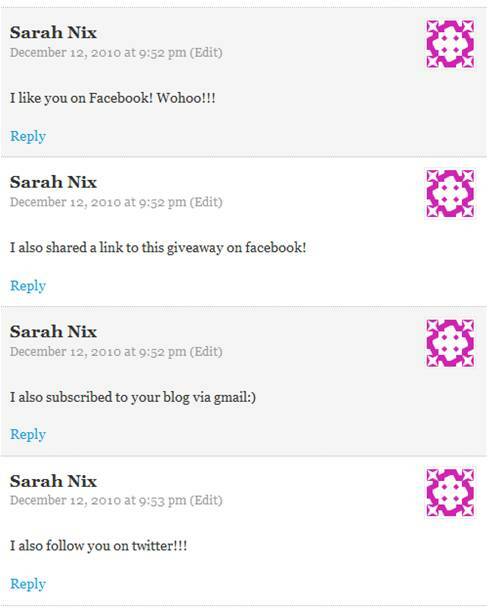 I’ll be announcing the winner on Tuesday night, as part of my last blog post for 2010! Hi Everyone! 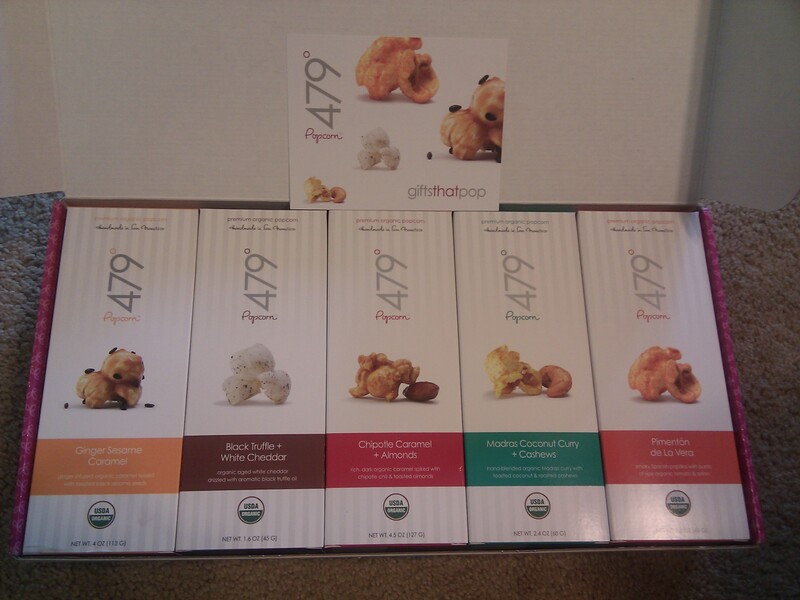 So as you know – I’m running an awesome giveaway on my blog for 479° Gourmet Popcorn! The original deadline was today, Saturday at 11:59pm. But one of my readers very smartly pointed out that she doesn’t tend to read email or be around her computer during the weekend (which is probably a good thing!) And so she missed my giveaway last time and only by chance was able to check it out this time. And so – for her and everyone else who “unplugs” during the weekend, I’m extending my giveaway deadline to: Thursday, December 9th at 5:00pm PST! So now you have tons of time to enter my giveaway!! I’ll be announcing the winner on Friday (December 10th) morning when I launch my next giveaway 🙂 Be sure to enter soon and tell your family/friends! For directions on how to enter, and more details about the 479 gourmet popcorn you’ll receive, click here. Foodie Friday Giveaway: 479° Gourmet Popcorn!! Woohoo – it’s Friday! That means – the weekend is only a few hours away, no work for 2 days, my hubby and I are FINALLY seeing Harry Potter, and it’s time for another GIVEAWAY! And I promise, this giveaway is really awesome 🙂 But first things first: who won the last giveaway? Well, that would be the wonderful Amanda – congrats!! Amanda – you should be receiving your honey very soon. Thanks so much to all of you who entered – I really appreciated your comments and support! 🙂 And now you have a chance to win again – with 479° Popcorn! I met the awesome owners of 479° a few weeks ago, and they were kind enough to send me the Globetrotter sampler pack to try. Isn’t their packaging super cute? 🙂 And I have to say – it is seriously some of the best popcorn I’ve ever had. Their flavors are really inventive, and their popcorn is popped to perfection – they actually bake every batch to order – which means that you’ll always end up with super fresh popcorn when it arrives at your doorstep! And not only that, all of their popcorn is organic, made by hand in small batches, local / sustainable, and of course – amazingly flavorful! I’d highly recommend trying out this product – you won’t be disappointed! Chipotle Caramel + Almonds: smoky, spicy, rich and sweet – and the almonds add a wonderful crunch! Ginger Sesame Caramel: ginger infused caramel also gives you that great sweet and spicy flavor, and the sesame seeds give it a great nutty finish! Pimentòn de La Vera: smoky Spanish paprika with bursts of ripe organic tomato and onion – you’ll never taste popcorn like this! This giveaway will close on Thursday, December 9th at 5:00pm PST. I will be selecting the winner at random and will contact them via email. I’ll be announcing the winner on Friday, December 10th when I launch my next giveaway! Be sure to enter – it’s super easy and this gourmet popcorn is totally worth it! 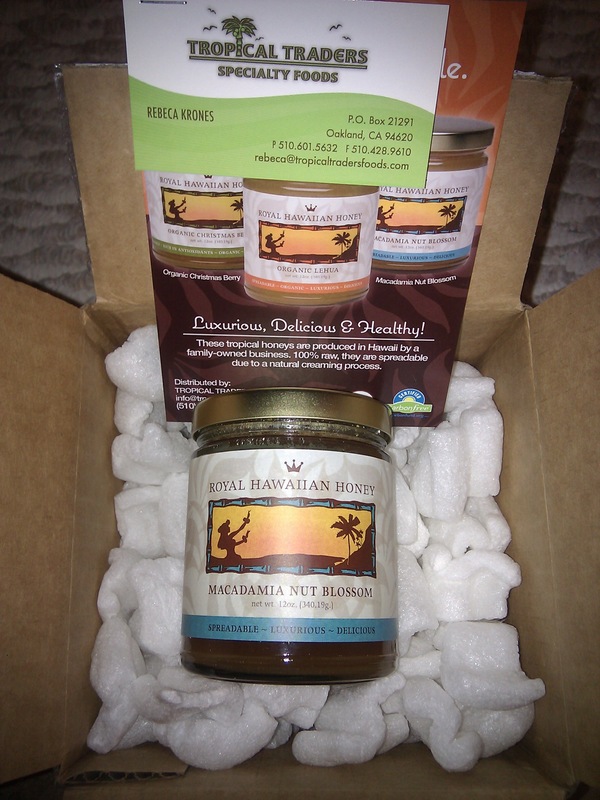 Foodie Friday Giveaway: Royal Hawaiian Honey! ﻿Hi Everyone! So as promised, today marks the first ever Foodie Giveaway from The Picky Eater! I’ve been working with the folks at Royal Hawaiian Honey and I’m really excited to share their products with you! What makes Royal Hawaiian so unique is the fact that their honeys are RAW, ORGANIC, their company is family owned and the honey is made in Hawaii. The fact that the honey is raw and unfiltered really is a special quality: because the honey isn’t heated, the naturally occurring enzymes and antioxidants remain beneficial and “alive” in the food. 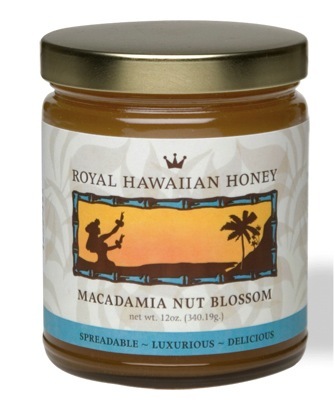 Royal Hawaiian has a few different varieties of honey, and they were kind enough to let me sample their Raw Macadamia Nut Blossom – which is seriously the most amazing honey I’ve ever tasted. The rawness is definitely apparent – the honey has a more “rustic” texture and is bursting with flavor. The Macadamia Nut variety is a little darker in color than your traditional honey, is super rich and nutty. It’s sweet but not overpowering – and you can use it in anything! My two favorites so far have been in oatmeal (of course), and on a slice of toast spread with almond butter with a drizzle of honey and a sprinkling of walnuts on top. I’d highly recommend trying this product (their other flavors are listed here) – you won’t be disappointed and you can feel good about eating a “healthy” form of sugar 🙂 And of course, one lucky reader will win a bottle of the Raw Macadamia Nut Blossom﻿ honey for free! Since it’s the holiday weekend, I’ll be leaving this giveaway open a bit longer than I will in the future. Giveaway closes: Sunday, November 28th at noon PST. I will be selecting the winner at random and will contact them via email. I’ll be announcing the winner next Friday, Dec 3 along with my next Foodie Friday Giveaway!